Ratings be damned, The Walking Dead isn't going anywhere. In fact, the universe is expanding. The flagship series has already been renewed for season 10 and showrunner Angela Kang has indicated they don't intend to treat it as the final season. Fear the Walking Dead is also still going strong and now, we have word that a third series set in this universe is in active development at AMC. The news comes as part of a recent fourth quarter 2018 conference call. AMC is doing quite well, as they posted $72 million in profits during that quarter. So why change anything if it's producing such strong profits? 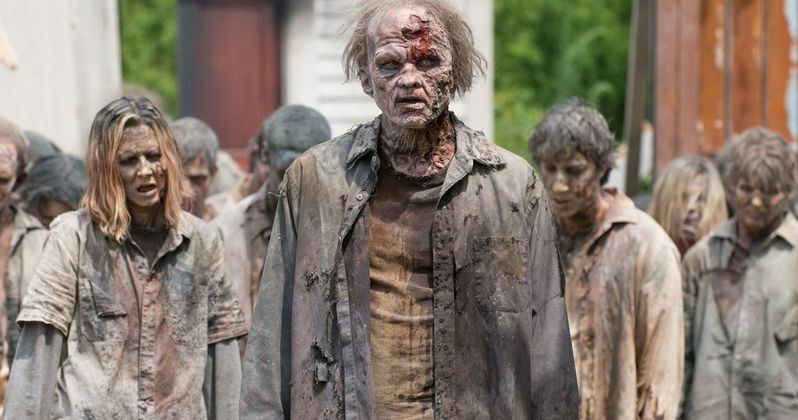 As such, Ed Carroll, AMC's chief operating officer, revealed during the call that a Second Walking Dead Spin-Off set in this universe is being developed as we speak. Unfortunately, he couldn't get into specifics, but they have creative people trying to crack the story. Here's what Carroll had to say about it. "That is in active development. We're not yet at a stage where we'll be announcing its plans to premiere. But we have hired creative people that have pitched story outlines. We feel very good about the development of that series. There's a healthy appetite for it, and we've had discussions with a number of partners." For now, that's not too much to go on. Who are these creative people? What storylines could they be looking to tackle? There are, sadly, far more questions than answers at this point. What's clear is that AMC sees no reason to slow down when it comes to The Walking Dead. Instead, they're doubling down. There are a couple of possibilities that have been floated in the past. Recently, Lauren Cohan was asked about giving Maggie her own spin-off, to which she said there have been "conversations," but nothing firm. David Morrissey, who played the Governor for several seasons, also expressed his desire to come back and possibly do a mini-series centered on that character. Much has been made of the recent and steady decline in ratings for The Walking Dead. The series, now in its ninth season, recently hit an all-time low. Still, it's the second highest-rated show on TV behind only NBC's This Is Us and, for almost any show, some viewers are going to bail this late in the run. Ed Carroll addressed this during the call and doesn't seem the least bit concerned. "We are well aware that when a show has been around for nine years, you'd expect the viewership to be declining. But we've managed it... The world of The Walking Dead is strong and vital and filled with potential in many, many different forms." Perhaps starting new shows could be a way to keep things fresh while maintaining the brand, which already has a very strong following. Keeping things fresh is going to be even more important, as it was recently revealed that Danai Gurira, who plays Michonne, is going to leave the show during season 10. Lauren Cohan also left as Maggie this season. Though, the door is open for her to possibly come back at some point. In addition to the two shows already on the air, the network is also working on a trilogy of Walking Dead movies starring Andrew Lincoln as Rick Grimes, following his departure from the show. This news was previously reported by The Wrap.